The Apple Watch, one year later: Did we expect too much? Whether you have one or not, Apple Watch is a hot topic of late. As we look back on a full year with Apple’s first smart wearable, we’re left with as many questions as answers. But the real one, at least to me, is whether or not we expected too much of Apple Watch. Apple Watch was long in the tooth via rumors when Tim Cook excitedly introduced it on-stage. By then, we knew just about everything the hardware would offer, so there were few surprises. As we started getting our hands on them, what Apple Watch really was became a bit clearer. It’s as personal a device as Apple claims it is, and makes everything easier and more awkward at the same time. It’s equal parts notification center, fitness band and app shortcut hub. You can trigger your iPhone’s camera shutter, check the weather or find out how much activity you need before the day is out to know whether or not you’re lazy or not. At its core, Apple Watch is nothing more than any other wearable, depending on what you want it to be. That’s both its gift and its curse. There’s only one way to put it: Apple Watch just isn’t groundbreaking. It has some very adept sensors that measure heart rate, which can be utilized by apps that take advantage of Apple’s HealthKit platform meant primarily for fitness apps, but they’re not standalone marvels that otherwise change how we approach staying healthy. The display is really nice, but wasn’t a technological marvel. Apple Watch’s design is subdued and elegant, but ultimately not profound. Add-on straps are a neat way to personalize your watch, but it adds nothing to the functionality. Even internally, Apple Watch is ho-hum. There’s no massive amount of RAM or memory, and the processor is adequate. In some ways, Apple seems to have sidestepped going all-in on Apple Watch version 1.0, and it’s probably the biggest problem we really have with Apple Watch. Why do people dislike Apple Watch? I’ve laid out the core argument for that sentiment above. It’s not profound, and is essentially Apple’s answer to wearables, not the solution we might have expected. It’s a response, not a statement — and it’s also an accessory, which makes it superfluous. We didn’t get a smarter way to deal with notifications, and developers can’t seem to figure out what to do to make the Apple Watch a must-have accessory via apps. I’ve got some really great apps on my wrist, but most leave me looking for my iPhone. And the iPhone itself is part of the problem with Apple Watch. For instance: I’ve tried on several occasions to launch Shazam on my wrist, only to be left hanging (literally) by the app while I look for my iPhone, which I know is more responsive. That app is only worth a damn when it can launch and act quickly, but its Apple Watch app fails almost every time to do just that. So why would I want to fiddle with a slow app on my wrist when I’ve got a computer in my pocket? That’s right, I don’t. A thought experiment: What if it were beta? Here’s a fun experiment: consider what the response would have been to Apple Watch if Apple tagged it as ‘beta’ hardware. If you think of Apple Watch as a beta product, it’s potentially the best wearable we’ve ever seen. As-is, it’s a good first generation smartwatch that leaves us wanting. There are indications Apple didn’t try very hard to go over-the-top with the hardware, which is befuddling to many. The internal components are a system-in-package, which basically means Apple took some off the shelf components and pushed them into the smallest frame they could. It didn’t create a new system-on-chip (SoC) for its wearable, which would have made it slimmer and possibly more powerful. But Apple Watch seems to have sold like crazy in spite of its shortcomings, and a Wristly research article may suggest why that is. If you take a peek at its findings, you’ll see that a majority of respondents are tech geeks who consider themselves early adopters. Again, Apple Watch is well received by those who can stomach slight miscues and slow performance, but that’s not the majority of consumers. You can make something like Pebble work with an iPhone, but it’ll give you little more than static notifications. Fitbit doesn’t feed info into HealthKit, and Jawbone hardware is terrible. If you want a truly rich experience, you have to get Apple Watch. There’s no smartwatch or fitness band that can keep up with it on iOS. Apple has manicured its own platform inside the walled mobile garden of iOS, and makes it really difficult to duplicate that elsewhere. Ironically, Apple Watch — for all its problems — is the best option (by a wide margin) for those seeking to have a wearable alongside their iPhone. Apple created its own non-competitive environment to match its mixed-bag hardware, possibly to manufacture a positive response to its first wearable. It’s smart, and it mostly worked — at least for a year or so. Let’s be objective about how we consider Apple for a minute. I’ll even make an example of myself. I want a brand new MacBook Pro that gives me monster specs in a slim case. My reasoning for that is the MacBook, which proves how much tech Apple can pack into a small package while still delighting users. So why can’t they just duplicate the effort with the Pro, right? It’s Apple’s track record of excellence that makes us doubt the Apple Watch. The rest of its product lineup is established, so whatever Apple does with them is ultimately iterative — no matter how great the products are. 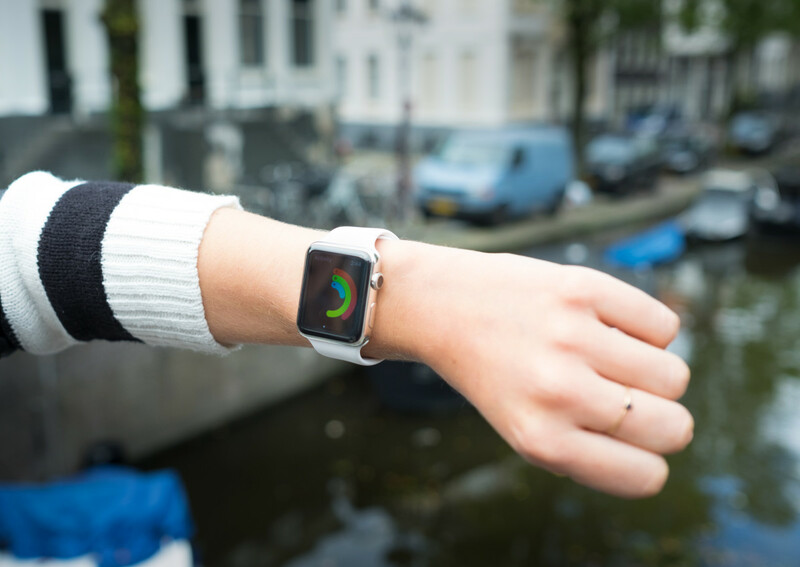 Smart wearables are entirely new for Apple, though. It’s likely why they used system-in-package for components rather than going full bore on a proprietary SoC. That may also be why the real marketing around Apple Watch is a lot of flash with little deep-diving on what it can offer. We’re used to being blown away or really pleased by Apple products, so anything less feels like failure. It’s not. Really, we should have tempered our thirst for Apple stuff and taken a more pragmatic look at Apple Watch. I don’t think the Apple Watch is any better or worse than other top-end wearables. I consider watchOS to be superb, but that can’t make or break the Apple Watch. Developers also can’t figure out what’s good for wearables, so Apple is helping to force their hand by making independent apps a necessity. I think that’s also a measure to prepare apps for better hardware on version 2.0 of the Apple Watch. If sales figures (or hints dropped by Apple) are accurate, Apple has no reason not to go all-in on wearables — even if they didn’t with the original Apple Watch hardware. The first generation Apple Watch, when thought of as beta, is pretty amazing. As we find it today, Apple Watch is good. It’s riddled with problems, and at times I struggle to find a reason to use it beyond closing those fitness circles or having Fantastical tell me what’s on deck for today. Apple Pay is handy, but often slow to launch. Those experiences also aren’t unique to Apple Watch, per se; I can check my calendar and use Apple Pay on my iPhone, and there are plenty of fitness wearables, HealthKit or not. All told, the core problems with Apple Watch are hardware-based. Should Apple go big with its next generation Apple Watch specs, many of the complaints vanish instantly. Apps will load faster, and operate independently in a way that makes us want to use them. Similarly, developers will have more reason to consider Apple Watch if when the hardware is better. Consumers may be wary, though. If Apple Watch sold as well as everyone thinks — and the reactions in the media and surveys are any indication of how most feel — we’re turned off by Apple Watch, and for fair reasons. If Apple Watch version 2.0 has cellular connectivity, that’s also another monthly fee. Without a compelling series of apps or services to keep us wanting to use Apple Watch, there’s little reason to slap one one the wrist for $500 down and $10 per month to connect it. All signs point to better things on the horizon, and that’s awesome — but I don’t know that even version two will help Apple Watch convince many of us it’s a must-have device. Luckily, Apple seems serious about wearables, so even if you can’t find a compelling reason to have the next Apple Watch, the one after that might just seduce you. Just remember these early days of Apple Watch. I’m not necessarily disappointed by mine, but in those days I don’t wear it there’s nothing making me lament not putting it on. But forgetting my iPhone is inexcusable. Once Apple Watch hits that stride, we’ll call it a winner. Until then, it’s just a really good accessory waiting for you to figure out why you want it — if you even can.